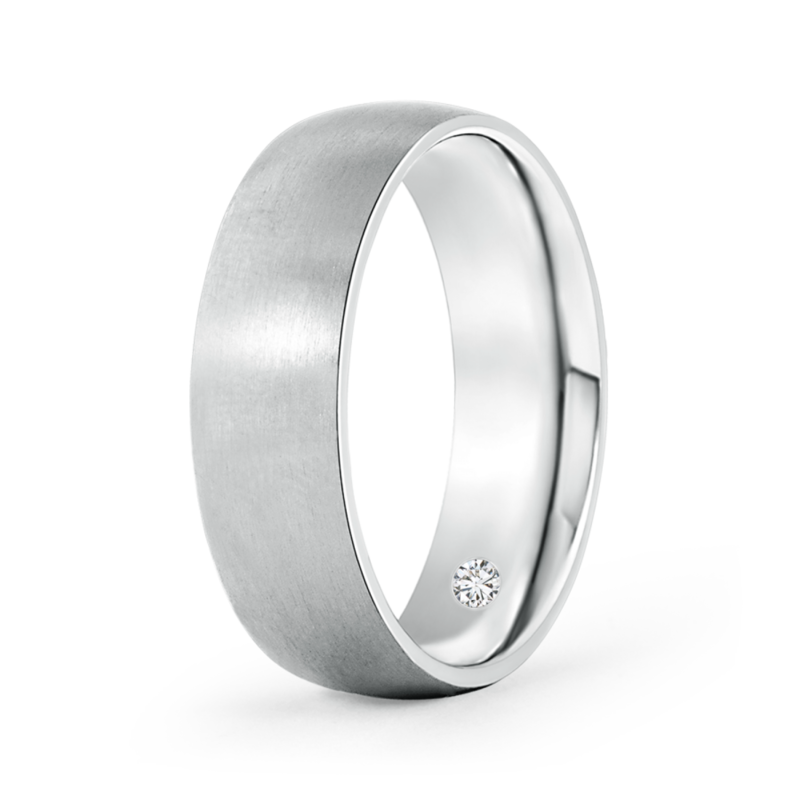 A nice way to keep a secret with this classic low dome wedding band. It is plain on the outside but has a glimmering gypsy set lab grown diamond hidden on the inside. Sculpted in 14k gold, this secret diamond band with a surprise element is a splendid expression of your love.